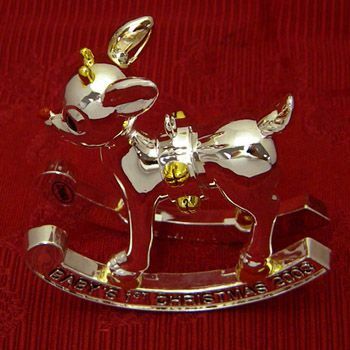 Commemorate the first Christmas of that special little one born in 2003 with the Rudolph Baby's First Christmas silverplate ornament. Gift box included. Engraving is not available on this item. 2003 Baby's First Christmas Rudolph the Red-Nosed Reindeer $29.00 $9.95 Sold Out!